Well here we are again, with a new year ahead of us! I'm really excited to take on 2017 and look forward to what it has in store. I'm especially excited to try new things in the kitchen and continue to share my culinary journey. One recent addition to my kitchen is an Instant Pot. I received one for Christmas and fell in love so much so, that I purchased a second one. Yes, the Instant Pot love is fierce in my kitchen these days. 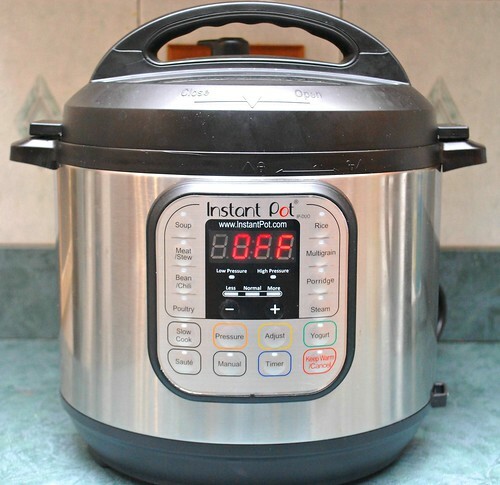 So, have you heard of an Instant Pot? The Instant Pot is a programmable pressure cooker and I couldn't have a better kitchen appliance. There's quite a bit of information out there on these bad boys and for good reason - it's definitely changing the way people cook! It's said to speed up cooking 2-6x times faster while using up to 70% less energy. I was skeptical at first and I had to get over the trauma of watching my parents use pressure cookers in the kitchen growing up. But after the initial hesitation and realizing I didn't blow up the kitchen, I was sold. After researching a bit, I soon found out this little pot has a cult like following... and I too, got sucked in with fellow "(Instant) Pot Heads." In a large bowl or in the bowl of a stand mixer, combine cream cheese and condensed milk thoroughly. Add each egg one at a time, mixing for only a few seconds in between each addition. Lastly, add lime juice. Transfer cheesecake mixture to the prepared springform pan, filling up to almost the top, leaving about 1/2 inch from the top of the pan - you most likely will have some leftover batter. While your cheesecake is resting, spread the sour cream on top of your cheesecake. This will melt onto the top for a nice finish and balance the sweetness of the cheesecake. 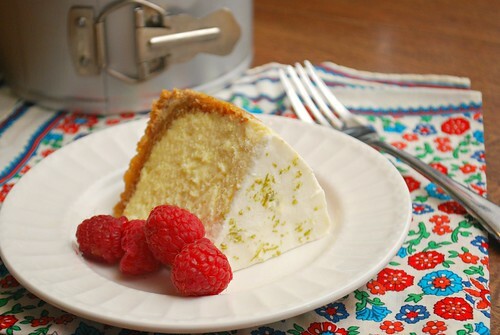 Top sour cream layer with fresh lime zest. To serve, slice and garnish with fresh raspberries if desired.